The day pass at Fumane Cave is €7 making it one of the 15 cheapest tourist Attractions in Italy. The archaeological site Fumane Cave is located at Progni valley, a few kilometres north of Fumane in the Italian province of Verona. Archeaologists were able to detect traces of Neanderthals as well as Homo Sapiens. 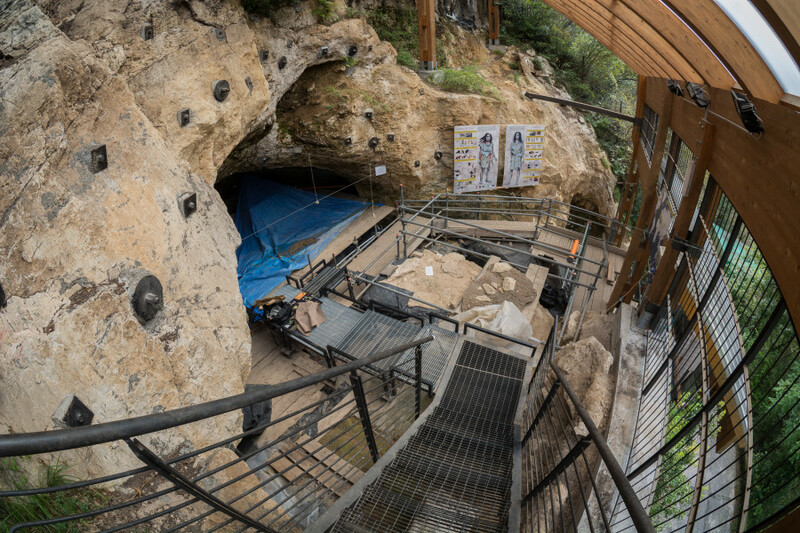 The excavation site is one of the most important prehistoric finds in Europe and allows for the investigation of biological and cultural changes in human evolution 40,000 years ago. One of the most important finds from Fumane Cave is a painted red stone picturing a human-like figure. According to the current state of research, it is meant to depict a shaman. The stone is currently considered Europe's oldest archaeological find. Another significant find is a milk tooth incisor, discovered in 1992. Due to its mitochondrial DNA, it can be attributed to an anatomically modern human (Homo Sapiens). It is estimated to be approximately 36,500 to 40,000 years old, and is considered to be one of the earliest evidence of the so called Cro-Magnon Man in Europe. Since 2005, the cave can be visited on guided group tours that take a bit over an hour. Fumane Cave was discovered in 1884. However, closer investigation didn't start until 1964, when geologist and archaeologist G. Solinas found prehistoric evidence of Neanderthals and Homo Sapiens. Since the 1980s, continuous excavations take place at the site. Coming from Lake Garda holiday spots, the easiest way to get to Fumane Cave is via SS12. Follow until Domegliara, then change onto SP4 towards Sant'Ambrogio di Valpolicella. Continue until you can turn onto SP33 towards Fumane from a roundabout. Stay on this road for about 4 kilometres, until you reach Grotta di Fumane.